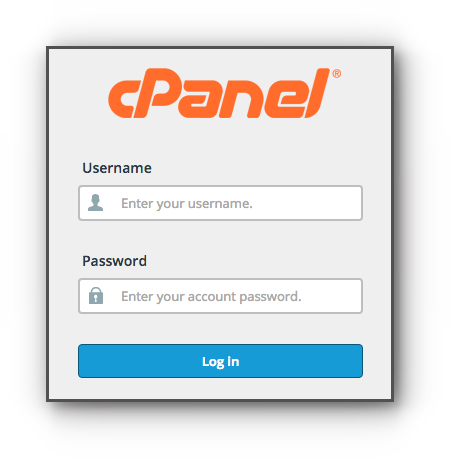 The server stores email account backups to those that are using IMAP for their incoming mail server and/or Webmail. 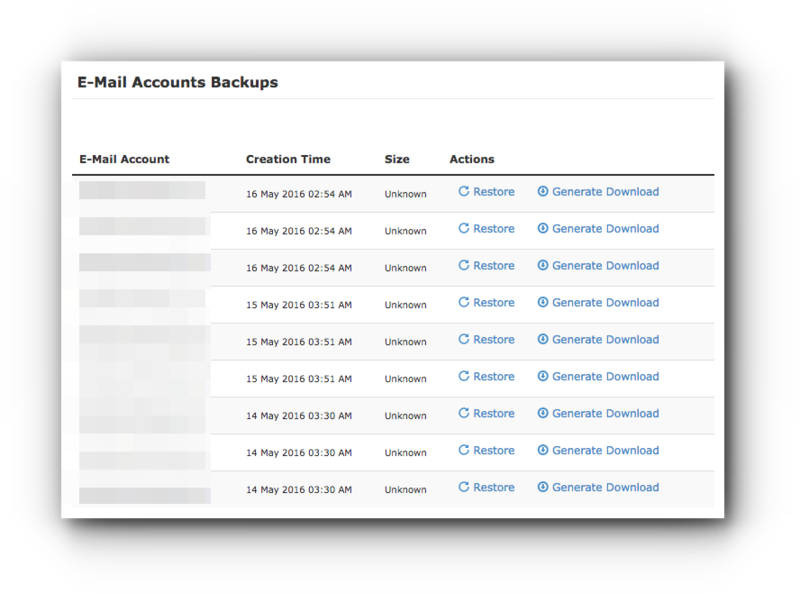 Email accounts using POP3 may not have the backup since the data is saved in their local machine or email client. 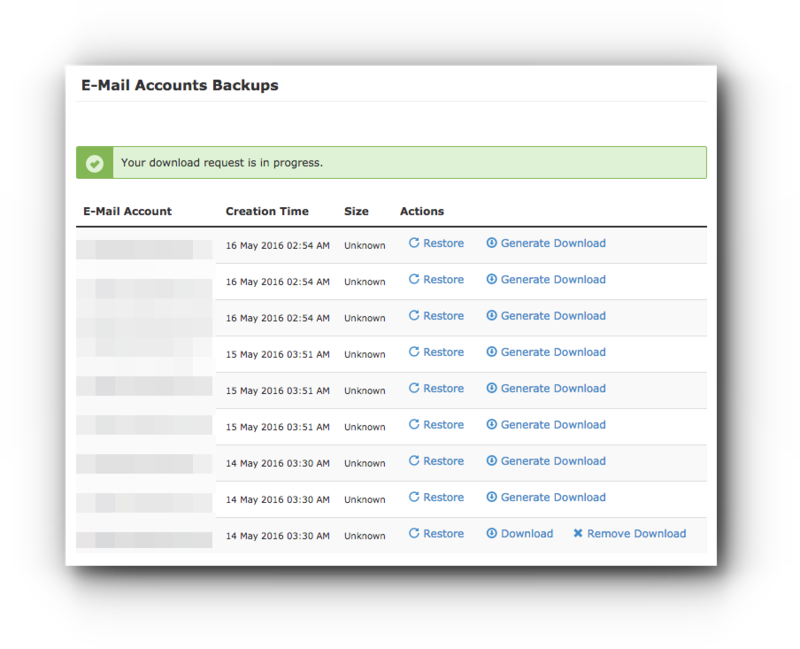 To get a backup copy of your email accounts and restoring them, please be guided by the instructions from this article. Step 2. 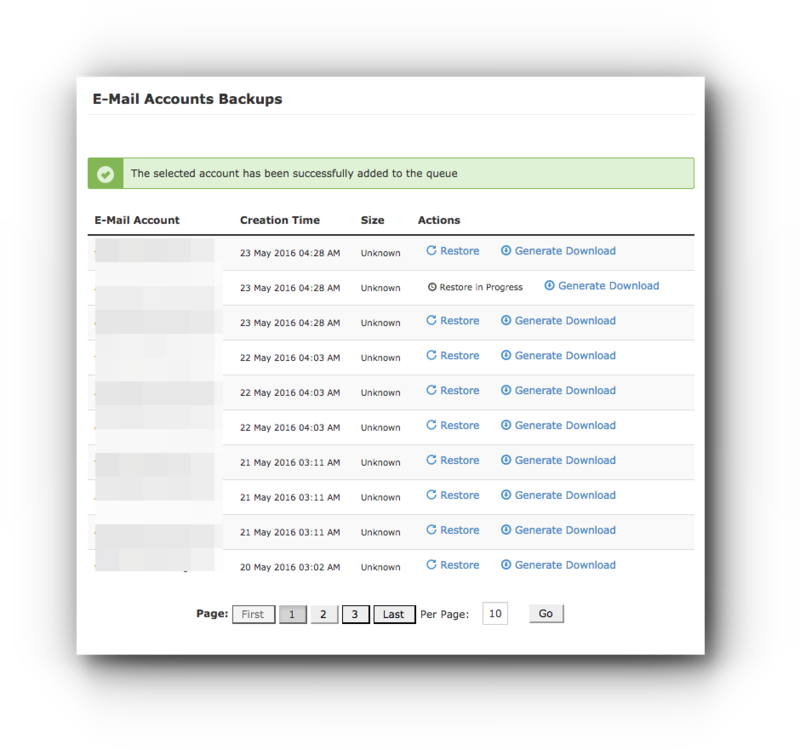 Click on E-mail Backups under JetBackup panel. Step 3. 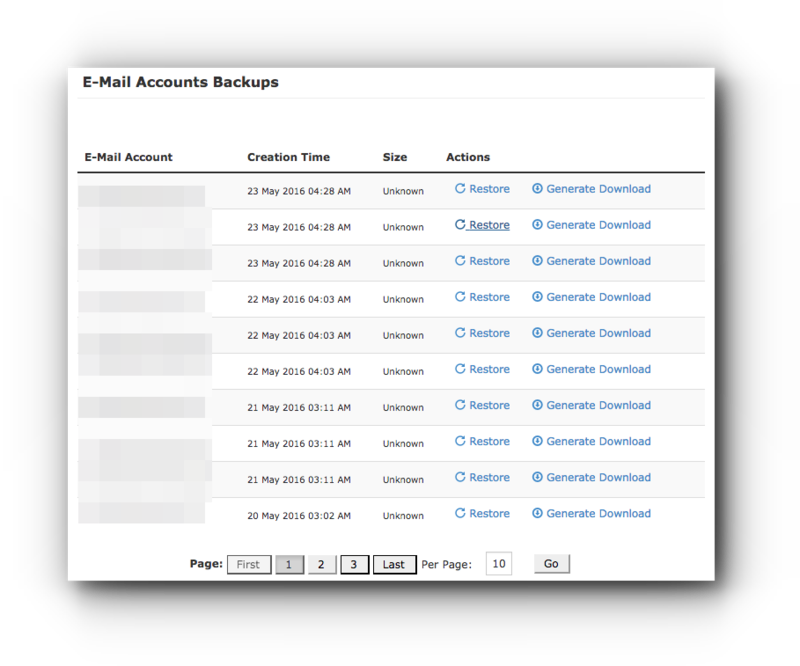 In the E-mail Accounts Backups page, click on Generate Download link. Step 4. You will be asked if you want to continue with the download. Kindly read the pop-up and click on OK button. Step 5. You will see a note indicating that the request is in progress. Once the Download link is available, click on it and a copy of the file will be saved in your local computer. Step 2. You will be asked if you are sure, click on the check box “i have read..”, enter the email address where the email notification will be sent and click on Restore button. An email will be sent to the email address you entered in the Notification Email field containing information that the email restore has been completed. You may also go to the “Queue” page for the JetsBackup tool to check the status.